This book is a little, sixty page primer on Theosophy chock full of pictures and illustrations. The St. Louis chapter of the Theosophical Society had its office right above the Oasis coffee house in Webster Groves back when I hung out there a bunch, and it had crossed my mind to go up and see what it was about, but I never did. I wonder what twenty-five-year-old me would have thought about it. Something like what older me thinks, albeit probably more dismissive and rude about it. 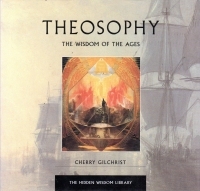 What I have gleaned about this book is that Theosophy is a mystical religion/philosophy created by a Ukrainian noble woman around the turn of the twentieth century. She studied abroad and brought home elements of Buddhism and Hinduism. Although the first bit of the book talks about how she tried to glean the higher truth that lies at the core of all religions, it came to focus on the mystical elements of the imported religions such as reincarnation and chakras. It also picked up some other mysticism from turn-of-the-century thought, such as astral projection, other planes of existence, and mediumship. It’s a mystical tradition in the most mystical sense, and it prides itself as being the forerunner of New Age thinking. It’s not like the flavors of Buddhism one gets in contemporary book presentations–all the mindfulness and meditation stuff without any of the epistemelogical underpinings, the stuff that makes you go, “Wait, what?” I could probably make a good thesis and paper on how the practical elements of religion come to the forefront in American life, the stuff that tells you how to live your life (meditation and mindfulness in Buddhism, the practical parables in the Gospels) and the epistemological stuff (the Law, the wheel and reincarnation) gets overlooked or ignored. But Theosophy is full-on mysticism where the epistemology is baked right into the practical. At any rate, I learned what it is now, and although I’m not going to be hunting down the local branch personally, at least I’ll be ready if I’m asked at a trivia night what organization Madame Helena Blavatsky formed, I’ll know the answer while the other tables are guessing SPECTRE. Yawn. Wake me up when the state finally gets around to fining people for using the word there or your incorrectly. I find it hard to work up a particular outrage about this because 1) I’m mellowing as I get older, and 2) the government does a whole lot of regulating of dietary labeling already. You know, mandatory posting of calorie counts at restaurants, certifications for ORGANIC, and so on. The European Union is also very particular about foods named after locations, going so far as to sue to keep people from calling it Parmesan cheese if it’s made in the U.S.. So, yeah, no. I think mandatory labeling laws can be petty (a year in jail for making a candy called Sugar Meat? Really? ), I think it’s par for the course. I do think this particular bit is getting passed around on social media in a twee fashion, though, because some of the passers are trying to imply or reinforce that Missouri is crazy or that people who eat meat are dumb enough to think tofu is meat unless someone smarter than them points it out. A few, perhaps, agree with my perspective that such laws are petty and often giveaways to organized interest groups. But without additional commentary by the sharer, one is left to wonder which of the above points the social media sharer wants to make. Not worth my time, aside from an excuse to generate fresh content for you, gentle reader, whom I hope to convince to “Meh” along with me. As I mentioned, I got this book at Library Con just a week ago. As part of my reading habit, if I get to a natural stopping point, such as the end of a short story, in my reading late in the evening, I’ll pick up a comic book to pass a few more minutes before toddling off to bed. But due to a delayed trip to the comic store, my supply of fresh comics was depleted, so I picked up this collection to serve the same purpose until I could get back to the comic book store. Which it did. Also, it doesn’t hurt that I’ll count this as a full book whereas I don’t count the comic books I read (yet) in my annual tally. But given how few books I’ve completed thus far in 2018, this might be a logical step to gaming my own system. 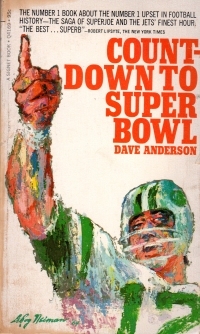 Fortunately, though, football season is coming up, and if the Packers are any good this year, I’ll have three hours a week to page through art books, cartoon collections, and poetry chapbooks. Well, that’s quite a digression from talking about this book. Back to the matter at hand. The source material for this book is a collection of short stories, vignettes and slice-of-life bits, written and published by Max Perlson in 1938. They’re about life in America for an immigrant or life in the eastern European shetl where he grew up. His daughter, Trina Robbins, grew up and got into comics in the 1960s and became something of a known name in some circles. She read his book and adapted them to comic book form and had a number of comic artists she knows draw art based on the text. So we have a collection of short pieces each in a different style of art and lettering. The stories themselves are mildly interesting and vary in depth. Some are more geared to Jewish readers (relying on some knowledge of the culture and religion for poignancy), but some are more broadly approachable stories. The varied art forms, well, vary in their efficacy. Some lettering is harder to read than others, but I think part of the point of the book was to let various artists interpret the material in their own way. As I’ve lamented in other comic book posts, comics have often become all about the artists and the pictures and not so much about the stories. Whereas this volume is about the stories, it can illustrate the deleterious effect of art upon the story. At any rate, worth picking up at a con when the publisher is discounting books she does not want to ship back to Winnipeg. He [her father, Max Perlson] learned well; our home was filled with books, all of which he had read, and because they were around, I read them, too. Among them, I remember the complete Mark Twain, Dickens, the poems of William Blake and John Keats, the memoirs, god help us, of Ulysses S. Grant. As you might remember, gentle reader, I picked up a copy of those very memoirs last year so I could have a reading copy. One wonders why the “god help us.” One doubts the author wanted the South to win the Civil War. I’ve got a new pun I can’t wait to ad lib. It’s calling someone who loves felines a real Catsanova. Wait, an Internet search indicates that I did not invent the pun. Ah, well, when I blurt it out as though I just made it up, I’ll assume the person I was speaking to won’t think immediately to search the Internet to see where I found it, or that it was a pre-meditated drop-in pun. …and then I encountered a cat, which is easy to do at Nogglestead. So I came by it honestly, through my own synthetic thought, rather than piggybacking off of someone’s established humor. Or maybe I saw it somewhere before. Being “quick-witted” is awfully hard work sometimes. It was a busy Saturday, as so many of them get to be. We started out before dawn to run the 2017 Habitat for Humanity Home Run 5K at 7 am. Our boys are on their school’s cross country team, but as it is a small school, they do not participate in meets with other schools. Instead, they run in 5K fundraisers every autumn, and the whole family runs in them. It looks like the Springfield News-Leader‘s photographer was on hand to take pictures. She did not get any of our crew, though, and the official event photographs are not online yet, so I cannot do my traditional Bill the Cat head swap on my picture in the event. 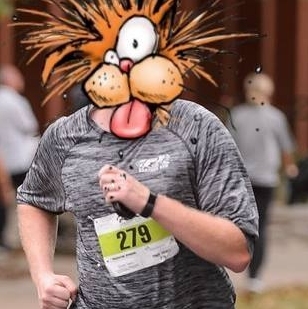 Which I do with all my 5K pictures because I tend to think I look like Bill the Cat in them anyway, as I did with the one from the 2017 Panther Run above. So we arrived home about 10:30 in the morning, enough time for a spot of rest and a bit of lunch before I took the boys to the Ozark Mini Maker Faire where they were to man the First Lego League booth for a couple of hours starting at 1pm. They’re not just athletes; they are also scholars and participate in the robotics/programming competitive league. 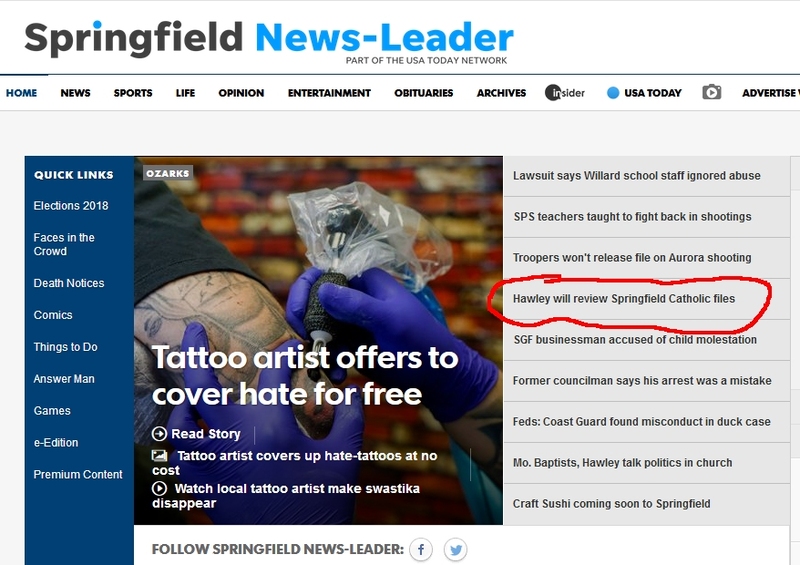 Again, it looks like the Springfield News-Leader‘s photographer was on hand to take pictures, but, again, none of us. Perhaps we should have carpooled. We got back from the Mini Maker Faire, which was more mini than it was last year, werd, in time to load our truck with some blankets and desserts to take to our martial arts school’s annual picinic (which is how autoyogibearrect spells it) at 5pm. This time, the News-Leader photographer was not on hand to take pictures–that I know of–but we had some pulled pork, chatted with some friends, while the boys played on inflatables. We got home about 7:30. There were no news photographers to capture our return, which is good. But I thought it was interesting that the News-Leader‘s photographer was at two events that we attended, and we’re still not on the society pages yet. It’s only a matter of time, though, I reckon. 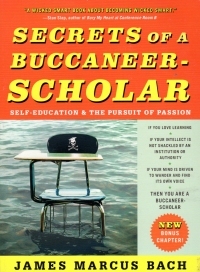 I saw this book on Instapundit’s blog, I think, and I buy just about everything I see on Instapundit. I mean, we have screaming flingshot monkeys, for crying out loud. The book is designed for introverts, which the author defines as someone who gets worn out by social contact instead of people who are awkward or shy. So it might not apply to everyone who considers himself an introvert. Me, I think I was XNTJ on the old Myers-Brigg, where I hit right in the middle of introvert and extrovert. So I’m probably not the core audience for the book. I just look like an introvert because I’m reserved and distrustful of people. So the book didn’t resonate with me as I thought it might. Basically, it’s a collection of tips and tricks for people who just run out of energy in social interactions as to how they can either extend that “social battery” (the metaphor the author uses) or structure their social lives to take into account their introvert nature. Things like make sure that you have an exit strategy/end time for social events, make sure you take little quiet “breaks” during social situations, all the way up to setting up a safe space for introverts when you’re throwing a party (what?). You know, I like to host people at Nogglestead because I have opportunities to step out of the room for a minute to take care of hosting duties. But when thinking about introversion while reading this book, I started to think that I’m possibly more of an extrovert than my beautiful wife, who is friendly and can chat up strangers fairly easily, but when she’s done working or socializing, she wants quiet time for herself. It amuses me to think that I’m an extrovert, but not a very friendly one. 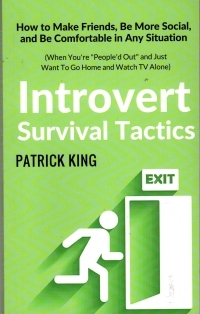 So if you’re introverted or think you might be, you might find something in this book you can use. If nothing else, it’s a quick enough read about psychology and self-help. As I mentioned earlier this year, I bought a guitar with the intention of learning to play it. I took some lessons for a couple of months, but eventually, it turned into me boring my instructors who wanted to teach me more advanced things than I could process as I was still learning the basic fine motor skills involved in placing my fingers in the proper position on the fret board and striking the right string with the pick. I suspended the lessons until I could at least do the basics. Well, I can almost, almost change between a third chord in time, which means when I’m strumming or picking an open chord, I can sometimes do it without a noticeable gap in the playing. So it’s improving, but slowly. I only have a couple minutes to practice most days, so it will take me a while. But that’s all right; one of the things I’ve learned is patience. It’s different from learning a martial art, though, where you continuously improve from gross motor skills to the fine motor skills. In guitar, though, you have to develop the fine motor skills right off the bat, so I don’t see improvement or even basic competence right away, or even now six months later. Has it only been six? Has it already been six? It’s looking more and more like I’ll be Inge Ginsberg’s age when I make my debut in my metal band. It took me a little while to get through this book. I took it with me when I went to Leavenworth in July, and I made it about a third of the way through it then, but it’s been relegated to my carry book in a season where I don’t have much time to read my carry book. Let me again explain the “carry book”: It’s usually a smaller paperback that I take with me when I’m going to have an hour or so to read at a location that’s not one of my primary reading recliners (PRRs). Normally, these spaces include church over the Sunday School hour, the martial arts school when I’ll be there an hour before my class begins, or church while my child or children attend the Wednesday evening programming. In summer, our schedules are off, and I don’t really get to sit and read outside the house. So carry books tend to sit on my dresser (like the Montaigne, sometimes for a long time indeed). But with the start of school, our schedule allows me time to read my carry book again, and I read most of the back half of it yesterday while my child attended Wednesday night activities. It’s really three books blended together, or, rather, it is a blend of three topics in one book. It’s partly a bio of the author, partly a book about software testing, and partly a book about learning. This last is its raison d’être. Bach talks about how he dropped out of school and charted his own path in the computer industry by using his own learning methods, and he codifies them a bit, gives them names, and explains how they work together. Basically, it’s about not being afraid to try, being comfortable with your own pace and limitations, and not giving up. 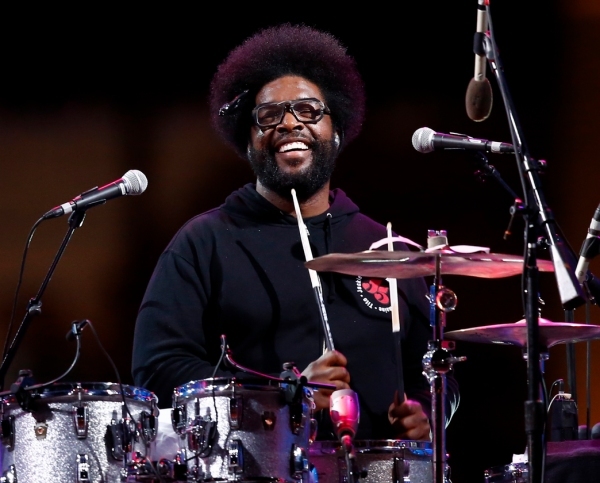 He describes his own struggles with worrying that he could not or would not learn something. Part of the process is backing off and then reengaging with a topic later and learning cyclically, by learning some things and then filling in the gaps of what you’ve already learned with later engagement with a topic. Man, I hope this works, since I’ve certainly spent my share of time backing off of the higher physics and math I’ve grappled with this year. At any rate, it ended up being an enjoyable book, but the tripartite focus diminshed it a bit and made it something I could put down for months, but not years. I got something out of it: reinforcement of the patience in learning that I’ve learned as I’ve gotten older. Grim Reaper would seem to have had it all, a catchy Sabbath-esque riff, one of the most piercing song-ending screams in the history of headbanging, Satan on a stick. It’s a one-hit masterpiece, but GR only got marginal traction at a time when metal was selling like Garbage Pail Kids. The problem? They were rightly or wrongly perceived as poseurs. Seen to be cashing in on metal’s finest hour while dispossessed of some undefinable, dues-paying authenticity. I mean, they’re no Danger Danger. But the problem lies in asserting that metal’s finest hour was sometime in 1983. My friends, metal’s finest hour is, and ever shall be, now. Because the memories of metal past is nothing compared to metal blasting out of your windows right now. I’ve determined that the local radio stations have not been feeding me a steady enough diet of new music, so I’ve joined the 21st century and have started prowling YouTube and then listening to a band on Spotify if I like them. So YouTube keeps suggesting metal bands fronted by women, which makes me wonder how this will affect the balance of heavy metal and jazz songbirds in my musical taste. Time and scientific experimentation will help me understand, I suppose. My goodness, has it been ten years since I’ve read a Perry Mason novel? The historical documents on this blog indicate it has (the last beeing The Case of the Mischievous Doll in August 2008). I read four in 2007 and 2008 (The Case of the Mischievous Doll, The Case of the Horrified Heirs, The Case of the Fiery Fingers, and The Case of the Cautious Coquette), but nothing since. I guess that’s because my shelves are not thick with to-read Perry Mason books, and I haven’t seen a lot of them available at local book sales. Come to think of it, I haven’t seen many Walter J. Black edition anything in a while. I guess the generation that bought them up by the score has already downsized, and their kids haven’t held onto them. But I digree–which, to be honest, the digressions are worth more than the book reports themselves. 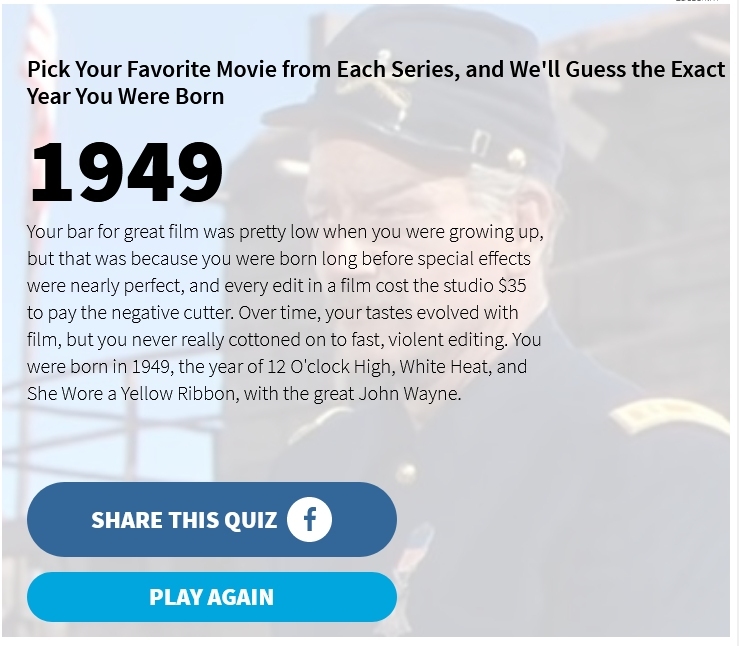 What to say about this entry, apparently the 74th in the Perry Mason line? 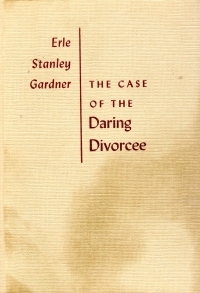 A young woman desperately seeking his help shows up at Perry Mason’s office, leaves for a moment, but does not return. She did, however, leave her purse which contains a gun that has been fired twice along with her identification. Mason investigates and finds that the woman whose purse it is did not leave it in his office and is being framed for the murder of her estranged husband. Meanwhile, the man’s second wife shows up to claim his property and company, saying that she did not actually follow through on their divorce, so the framed wife was not his wife at all. It leads to the usual Masonesque legal maneuvering, culminating in a courtroom demasking of the real culprit. Which is rather quick and a bit forced; the real killer and accomplice were bit players until their unmasking, which is ultimately a bit unsatisfying. Still, these books hold up pretty good and don’t seem dated to people of a certain age. “That’s splitting hairs,” [Prosecuting attorney] Ellis said. Sixty-four years later, this holds true, and sixty-four more years of “tough on crime” legislators have invented even more crimes to prosecute. I learned to drive late–I was in my last year of college when I got my driver’s license (which is ahead of my sainted mother’s pace–she was, what, 33?). In high school, I didn’t have anyone to teach me to drive–my mother was too anxious, a family friend who took me out once was too afraid to take me out again, driver’s education in school was during summer vacation, and private driving lessons were expensive. So it had to wait until I was off at college, living in my father’s basement in Milwaukee, for me to get regularish tutelage behind the wheel. When I came back to Missouri, I needed a car to get out of the long valley on the gravel road and to anything resembling a job. I garnered a decent amount of monetary graduation gifts, enough for an old used car, and I was looking for an automatic transmission since I didn’t know how to drive a stick shift–but I would make an exception if I found a sports car I liked. Well, I found a red sports car with a manual transmission. A 1986 Nissan Pulsar (the one depicted is not my Pulsar–my Pulsar’s clear coat was peeling off). So I had to learn to drive a stick. A family “friend,” a burgeoning mechanic, gave me a twenty minute lesson and set me loose on the curvy two-lane country highways and four lane state highways that surrounded the valley. He also helpfully fixed the symptoms of a flaw in the electronics of the car that routinely burned out batteries, alternators, and headlights in the car instead of finding and fixing the problem, which finally led me to getting an older old car with its own faults. And a new mechanic. But I digress; I see I’ve already talked about that Nissan just last year. It must be part of my decades-long mid-life crisis to keep hearkening back to it. But back to my original story: Pretending I didn’t know how to drive a stick because I didn’t want to drive a Viper. So, a bit of background about Jim, the Viper’s owner. He was a millionaire next door; he’d been a union poo-bah and invested in real estate and had done very well. He dated my aunt for a while, on and off, and he liked to carry $5,000 in cash on him at all times in case he saw something he wanted to buy. He liked to hit the riverboat casinos and gamble past the limit, getting other people in the casino to get him more tokens when he’d filled his limiting punchcard. He owned a Viper, and he brought it to a family reunion one summer. My brother was on leave from the Marines at the time, and he’d brought a gearhead friend of his with his souped-up 70s GTO. They marvelled over the Viper, and Jim took his keys out of his pocket. “You know how to drive a stick?” he asked them, because he was going to give the keys to his high performance, expensive sports car to a couple of twenty-and-not-much-more males to roar around the county park and presumably south county. I most certainly not volunteer, and my brother and his friend didn’t know manual transmissions, which is probably how that Viper got back to the garage that afternoon. Well, that, and the handgun that Jim illegally carried in the console to brandish whenever unsavory types took too much interest in his Viper when he was stopped at red lights in sketchy parts of town. Which was more than once by his telling of it. I have this collection in the Reader’s Digest World’s Best Reading edition, which is a series I pick up when I can find them cheap. They’re nicely put together, they often come with a little biographical pamphlet about the author, and they put the academic material where it belongs–at the end of the book, not ahead of the primary material. Of the stories, I especially enjoyed “The £1,000,000 Bank Note” wherein a San Francisco trader is lost at sea, rescued, and delivered to London with nothing; there, two rich men give him a very large, uncashable bank check to see if he can make it a month with them to settle a bet between themselves. The trader does with elan. I thought the story was going to lead to a situation akin to the film Trading Places, but it was different. I thought “Extract from Captain Stormfield’s Visit To Heaven” was clever as it grappled with some questions about what Heaven, God, and the Bible might mean galactically. I was startled by non-Disney endings to “Was It Heaven? Or Hell?” and “A Dog’s Tale”. And I might remember the stories, which is about the best that one can expect over the years. I noted with interest that the bear in “A Fable” is named Baloo, but I cannot determine if it preceded or followed Kipling’s bear from The Jungle Books. I haven’t found a date on this story easily on the Internet, so I don’t know which came first, but it’s likely a bit of tribute between the writers one way or the other. 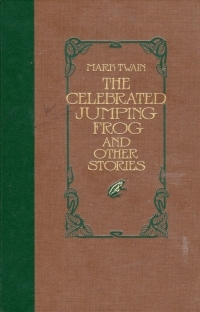 I’ve read the longer works of Twain’s (The Adventures of Tom Sawyer, The Adventures of Huckleberry Finn, A Connecticut Yankee in King Arthur’s Court, and The Prince and the Pauper), and I think I like them more than short stories. Of course, I like novels more than short stories anyway, as one does not have to shift gears as often with them, which is why it takes me longer to read short stories in a book than it does a novel of the same length. At any rate, good stuff, a bit of fun, and it counts as a classic in my internal virtuous reading signaling. 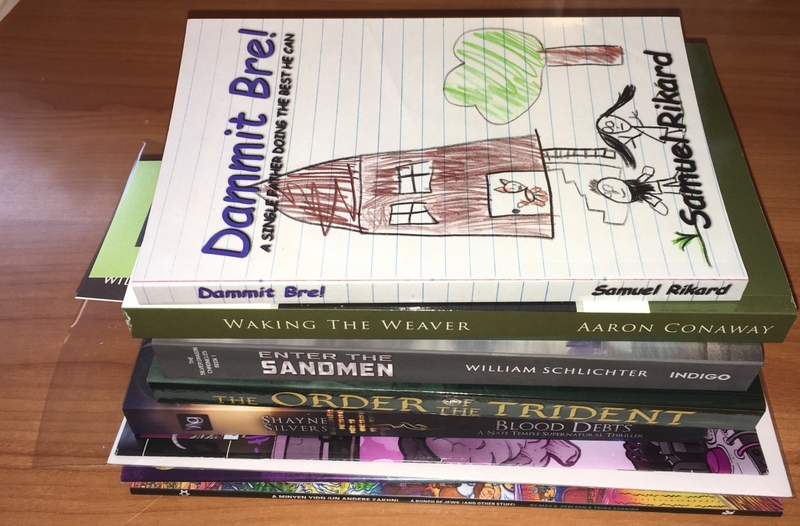 I went to LibraryCon at the Springfield-Greene County Library Library Station branch this year as I did last year, and in reviewing that post, I see that I did pretty well in not buying a bunch last year (and reading one of the four books I bought, Obsidian Son, in the intervening year). This time, I went with both of my children and a wallet full of money to splurge. This year’s Library Con had a smaller number of tables but a larger number of often-cosplaying attendees. I bought more than last year. Two books by Samuel Rikard, a non-fiction account of his being a father entitled Dammit Bre! and the start of a fantasy series called Order of the Trident (the series is An Eldarlands Tale). The second Nate Temple book from Shayne Silvers, Blood Debts. I also chatted with the author about his martial arts belts since I’m purportedly going to test for my second degree black belt next month, and I learned from his bio somewhere that he holds a couple of his own. Enter the Sandmen by William Schlichter, the start of a science fiction series. The author also has a number of horror books, but those ain’t my bag, baby, so I went with the science fiction series. Only the first, though, in case I don’t like them. Waking the Weaver, the first book in an urban fantasy series by Aaron Conaway. The #0 of the Spectral Void comic series; I was specifically looking for the third one, which the author assures me will be ready by Cave Con later this autumn. #1 of the Star Beasts comic series. 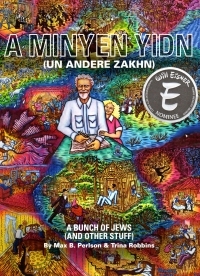 A Minyen Yidn, a collection of short stories converted to a graphical novel format. The owner of a Winnipeg press called Bedside Press came all the way to Springfield for a day. I felt like a bit of a sexist, though, as I went through author’s row. I stopped by the first couple of authors tables in the library–authors I knew from previous trips–and passed over the two tables with women behind them. The one looked like it had love stories and stuff, and the other looked like sparkly vampire love stories, neither of which was my bag. So when we came back into the library because we had to pick up some actual books in the library, I stopped at the above-mentioned Bedside Press table to pick something. As I browsed, I wondered about the books as several mentioned Indigenous authors and one of them was a collection of love stories about some creative couplings to say the least. So I picked the title that looked least likely to be too alphabetical soupy in outlook. I mean, it’s not like anything in the books would shock me conceptually, but it’s not the kinds of things I want to read. Kind of like sparkly vampire love stories. I also made eye contact with Joshua Clark whose first three books I bought last year, but I haven’t read them, so I didn’t pick up the fourth which was available this year. If I make it to the next Library Con, I’ll probably think I know everyone with a table, although they will likely not remember me. My beautiful wife and I have never actually been on The Newlywed Game. However, whenever I’m trying to log into an account that she initially opened, it’s often just like The Newlywed Game as I wrack my brains trying to answer the question often presented to verify her identity. Dammit, what street did she grow up on? Crikey, what was the best Christmas gift she ever got? I fear Bob Eubanks disapproval with every answer. 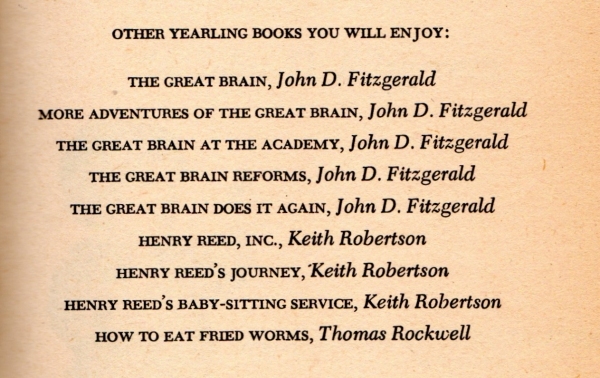 I read the Great Brain books in elementary school, and when I had children, I started picking the volumes up for my boys. Apparently, I picked up two copies of this book as I found a duplicate copy on their bookshelves while helping them clean their room this summer. So I put it on my to-read shelves for nostalgia’s sake. The copy I have is an ex-library copy in the heavy library binding, which is only appropriate. Apparently, the books are available in paperback, too, but I got them from the school or public library, so I only understand the book in library binding. If you’re not familiar with the Great Brain series: These fictional stories tell about a Catholic family in a small town in Utah at the end of the ninteenth century. It starts as a family of five: Mama, Papa, and brothers Sweyn, Tom, and John. The middle son is a swindler who comes up with all kinds of crazy schemes to make money or trick his younger brother John (the first person narrator of the book) into doing his chores. The first books deal with this, but this particular volume details when Tom goes off to the Jesuit Academy in Salt Lake City for seventh grade. John hopes to take up Tom’s mantel and make a little coin using his own brain, but it doesn’t work out that way. The book basically has three story arcs: The first couple of chapters are John trying schemes and failing. The second deals with the family (which is just Papa, Mama, and John along with their hired woman Aunt Bertha at this point) taking in a traumatized four-year-old whose family was killed in a mudslide before his eyes. The third deals with an escaped outlaw who has come back to town to kill the men he holds accountable for his incarceration–which includes Papa. Re-reading this as an adult, I still enjoyed it. The writing is perhaps a little simpler than you would expect for an adult book–but, honestly, the language in a lot of books these days, especially the genre stuff I tend to read, isn’t exactly Faulkner. When I compare this young adult literature to the stuff my kids favor, though, it’s quite heady literature. My boys said they’ve read them, but they’re not exactly clamoring for more, unlike the excitement they demonstrate when a new comic/novel hybrid by Jeff Kinney or Dav Pilkey appears. Which will probably make them into adults who read comic books, if at all (wait, what? I read other things besides comic books and young adult literature, but I’m in the very selective minority). 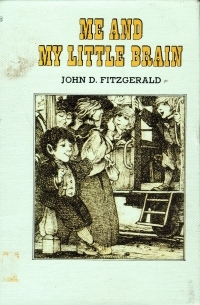 It also struck me as I researched John D. Fitzgerald after reading this book how contemporary to my childhood these books were. This particular book was first published in 1971, which means I read it when it was ten years old or less. That’s a crazy thought–they seemed so much older back then, partially because they depict life so long ago and probably partly by how worn the library books were–probably due to popularity and cheap paper more than actual age. After reading this book, I’ve thought about seeking out some of his other works, including his adult book Mamma’s Boarding House, which I tried to read at age eight or nine, but I could not because it opens immediately after Papa’s funeral, and it was too painful to imagine life without a father (spoiler alert, little me: in a year or two, you’ll get to experience it for real by parental decision instead of death). So expect me to be cruising eBay this autumn looking to fill out my personal collection (as opposed to my boys’ collection). Analysis: TRUE. I did enjoy all of these books in my elementary school years along along with the Beverly Cleary books (although I thought Henry Huggins was the main character and didn’t understand until later why Beezus and Ramona got all the stories). They made me into the get-rich-quick grifter I am today.